It’s only a very short drive to the local shops at Blackwood. You’ll find Coles, Woolworths, Foodland and IGA supermarkets, petrol outlets, and most of the major banks. 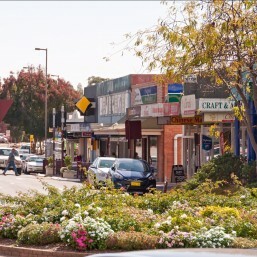 There’s also butchers, bakeries, pharmacies, newsagents, greengrocers and a big range of other specialty stores or for a more extensive shopping experience you can head to Marion Shopping Centre which is just a short drive down the hill.